These rings are $17.00 each. Choose the number you want from the "quantity" pull-down. Dainty, rustic, and original. 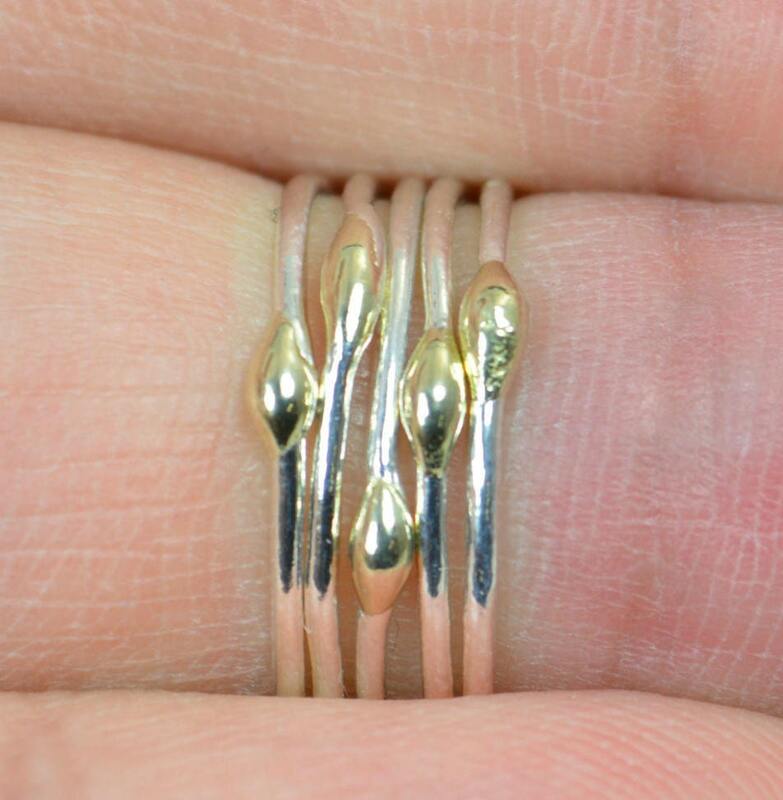 I solder each ring together to form a large "dew drop" of solid 14k gold as a focal for each sterling silver ring, ensuring that every ring is unique and interesting. - Delicate strand of silver with a glistening gold dew drop. 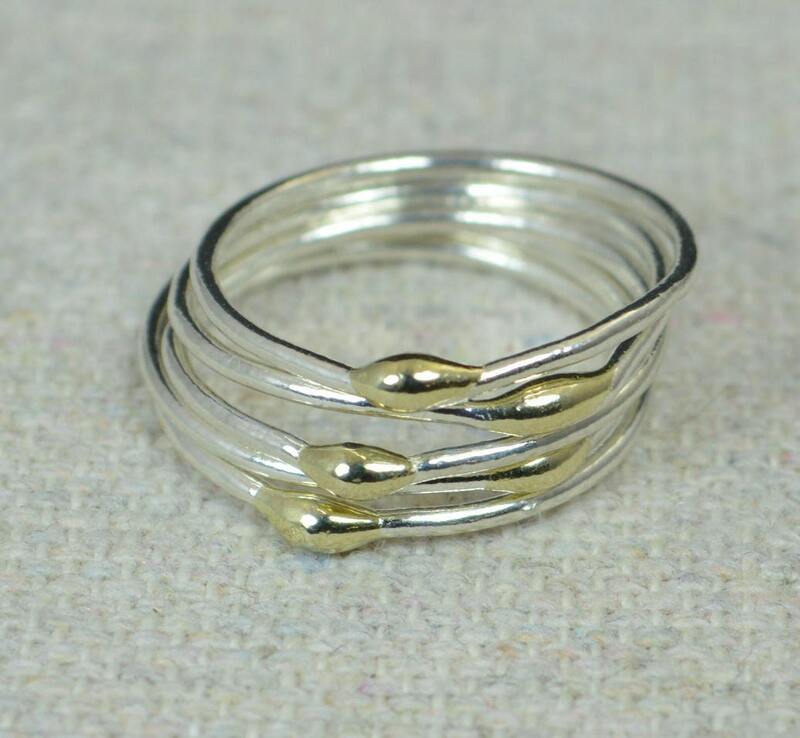 I absolutely love my silver and 14k gold stacking rings. They are exactly what I wanted. I have small hands and 7 rings are perfect! Michael was easy to work with and answered my questions right away. I will definitely buy from Alaridesign again. Perfect fit and perfect little ring! 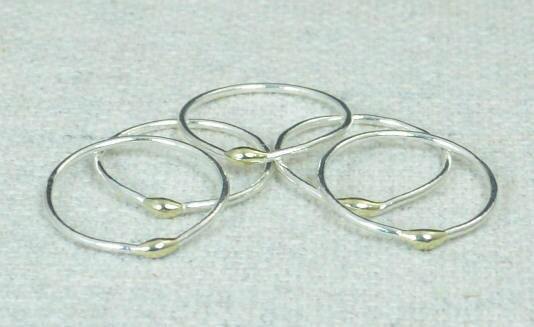 I ordered 1 of these plus 2 plain silver rings and wear them together for a thumb ring. Super comfortable - i never take them off. VERY nicely done!